It is withe great sadness that I report a death in the farm’s family yesterday. 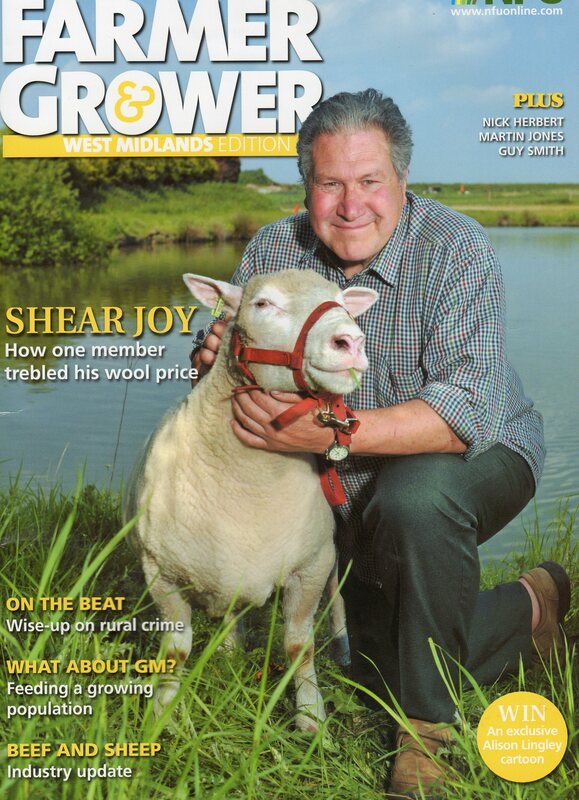 Those of you who have had a calendar off us this year will have seen Janet our top ewe on several of the pictures, including the photoshoped front cover with David in India. She died yesterday and we are all very sad. Bramain Janet was born on 24th. October 2006. She was Reserve Champion of the Staffordshire show in May 2009, Champion of any other breed at the Lincolnshire Show in June 2009, Female Champion of the Kenilworth show in 2009 and Reserve Female Champion at the Great Yorkshire Show in July 2010 as seen on the calendar. She was developing a new career in public appearances, publicising the woolen coffins being manufactured by Hainsworth having featured in newspapers, magazines and on television from 2009 to 2011. Many dates were already arranged for 2012. She has been buried alongside the smaller reservoir on the farm and will be badly missed. We have today ammended the Storage Rates to reflect what we will be charging in 2012. As the last 3 prices reviews have been forced on us by changes to the VAT rates, we have taken the opportunity to have a more considered review of our charges. We have altered the differential between the groups to make it fairer to you all, and created a new category for medium sized motorhomes. Please see the relevant page for details. Those of you who are regular visitors to Bramcot Mains will remember that thism time last year David, along with his friend David Duncan, were off on a once in a lifetime holiday to India and Australia. Along the way they visited the Taj Mahal, Mount Everest and saw Australia beat England (not a once in a life time happening unfortunately!) Now, at long last, the account of that trip had been written up and is available for anyone to read. The easiest way is for you to send us an e-mail asking for an electronic copy – sent as a .pdf and including pictures! Hard copies are available from the office to lend or keep. We’re even exploring whether it can be uploaded to Amazon for downloading onto the Kindle! For those of you who recieve a calendar from us for 2012 it will answer the question whether David did actually take a sheep to India! As some of you will know David has been off round the showgrounds again but this time for the winter fairs. Traditionally this is the time of year when the best of the livestock compete for the pleasure of ending up on the table at Christmas! 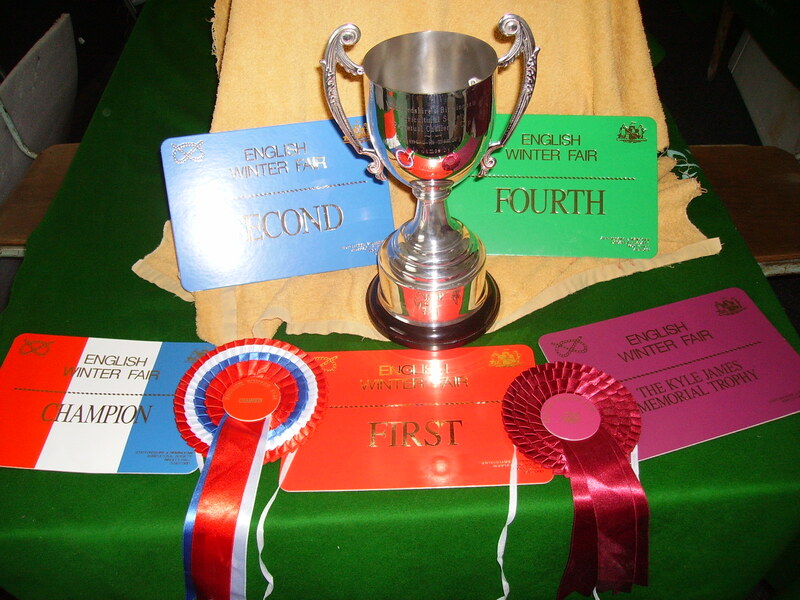 He has done quite well, winning the Kile James Memorial Trophy at the Birmingham and Staffordshire Agricultural Society’s show and having the best Dorset sheep at the Smithfield Winter Fair. Now we’re all back to lambing which we hope will be finished by Christmas!